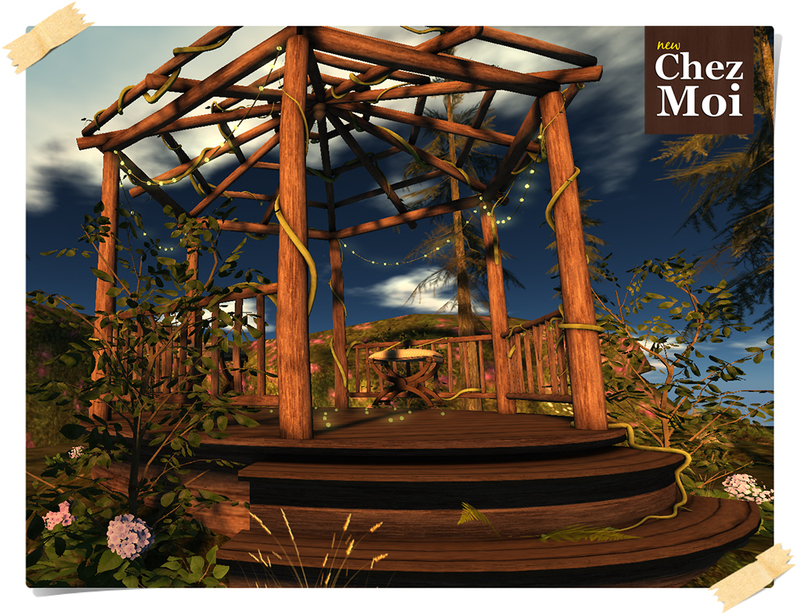 For a fairytale and romance atmosphere , Secret Garden Gazebo Multiposes CHEZ MOI. Many lights illuminate this Gazebo, richly detailed and decorated with vines and beautiful flowers, which will amaze its visitors and guests. ♥ 8 static poses to immortalize these magic moments in beautiful photos. ♥ Props: champagne, wine, book and love letter. The Chair Secret Garden is also perfect to complement the scenery and to spend a delightful afternoon with your friends. ♥ Props: champagne, guitar, juice, book, newspaper, coffee, soap ball, shrimp. 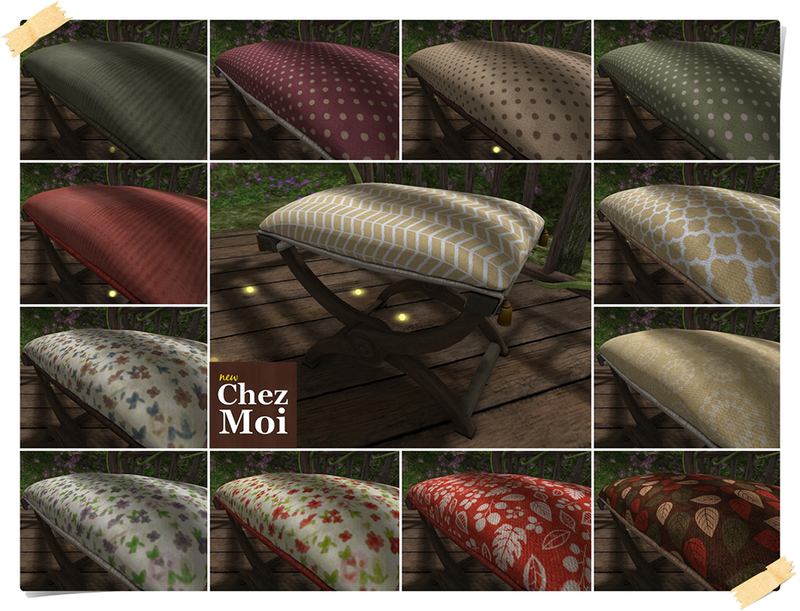 ♥ Texture-change options: 15 textures to choose from menu controlled.